Magento Commerce is one of the most popular eCommerce software. Although it was released fairy released it has already become the favorite shopping cart. Magento offers several products when it comes to eCommerce software like a free Open source shopping cart, the B2B product, Cloud commerce and more. Additionally, Magento 2.2 was released with additional features. The checkout process tends to take time since there are many sections to fill in. This often is the reason many the customers abandon their cart. Many eCommerce software has hence optimized the checkout process to make it as fast as possible. There are several methods adopted my various shopping carts from speeding up the personal details and address to making the payment section easier with quick wallet and stored credit card options. In addition to that, the shipping method and selected by default and the customer can check this further if required or continue with the default one. A recent study conducted by the Baymard Institute found that the average global cart abandonment rate in 2016 was 70 percent. This is for eCommerce websites. The cart abandonment rate for mobile devices was even larger. 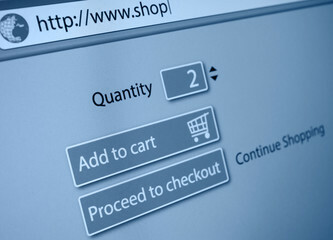 Magento has introduced the one click checkout method called the Instant purchase feature. This is a part of the Magento Commerce Cloud version. This feature improves conversion by making the payment and shipping process a breeze. It provides fast and optimized checkout process. The shipping address is automatically selected using the default customer address in their respective account. It offers multiple payment methods and hence anyone can be selected based on the choice. Alakmalak is a Web Development firm in India. They have been around since a while and are involved in Magento Web Development. They have highly skilled and experienced Magento Web Developers who utilize the resources at their disposal to create stunning websites. Hence if in need to Hire Magento developer in India, Alakmalak is the best option. How to Add Static Menu Item In WordPress?